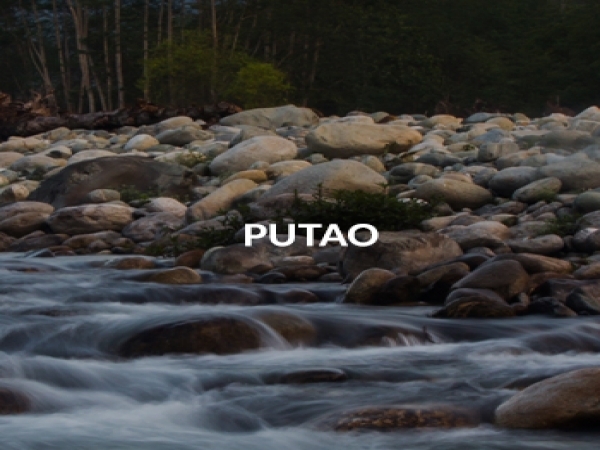 Putao: Tourists looking forward to viewing some snow-capped peaks need to visit Putao, a quaint town nestled in the lap of the Himalayas. 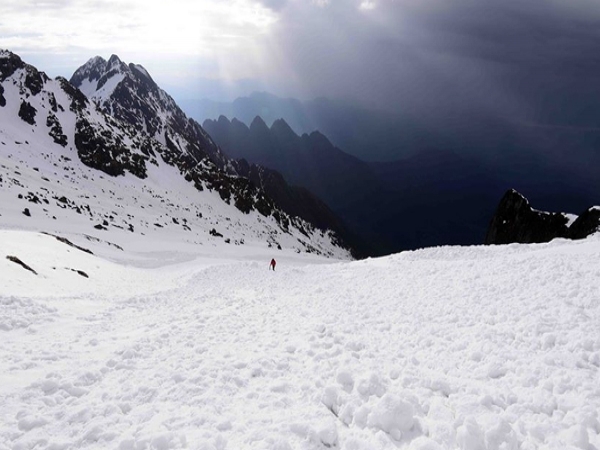 The town has a cold climate throughout the year and is characterised by people from a variety of ethnic backgrounds who are warm to tourists. Visitors will be able to see a number of flora and fauna here, especially rare species. 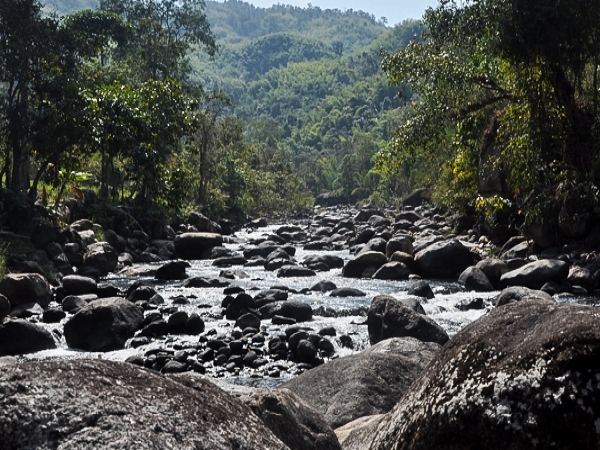 Myitkyina: Myitkina is the capital state of Kachin State and is renowned for its cultural, religious and ethnic diversity, attractive riverside or surrounds areas. A short drive from Myitkina takes a visitor to Myitsone, the largest inland lake of Southeast Asia. Myitkina has a lovely riverfront where a local market is operated regularly. A large standing and reclining Buddha image also adorn the river bank. 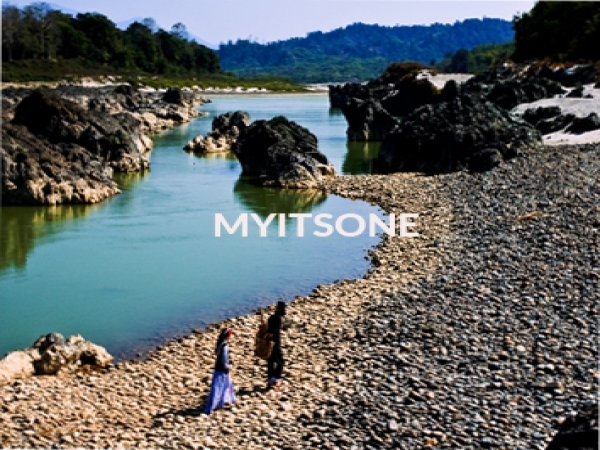 Myitsone: A journey of 45 kilometres to the north of Myitkina takes a visitor to Myitsone, the scenic confluence of the Mayhka and the Malikha rivers which join to form the Ayeyarwady river. 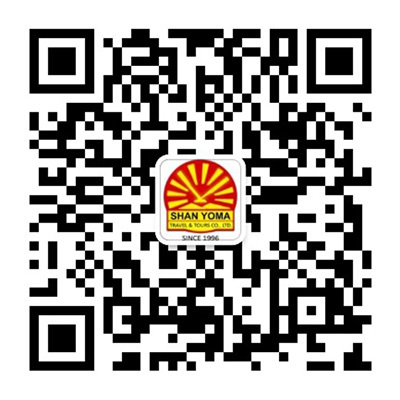 The journey takes about one and a half hours and the road passes through breathtakingly scenic parts of Myanmar. 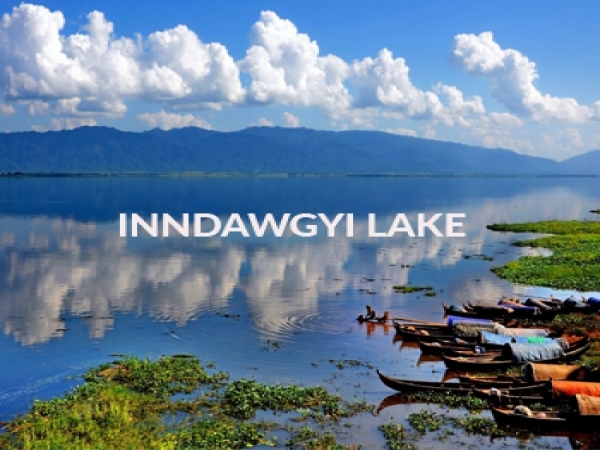 Inndawgyi Lake: the largest inland lake of Southeast Asia is located in the Mohnyin Township in the Kachin State. The lake measure 13 km east to west and 24 km north to south. The lake has a wildlife sanctuary around it which contains a variety of species especially some rare mammals and birds. 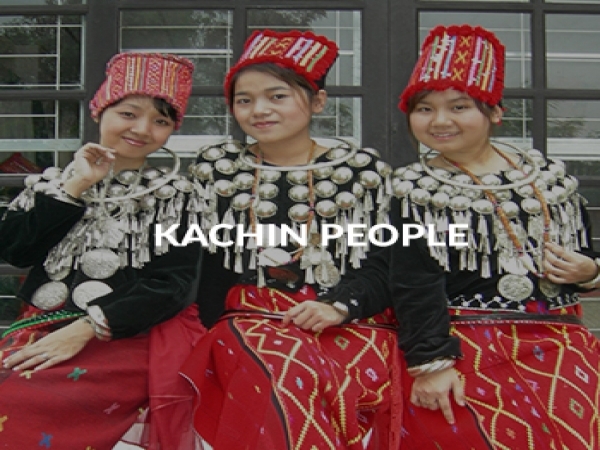 Kachin People: The hills of Kachin are inhabited by the Kachin or Chingpaw people who are characterised by a large number of tribes, sub-tribes and clans. 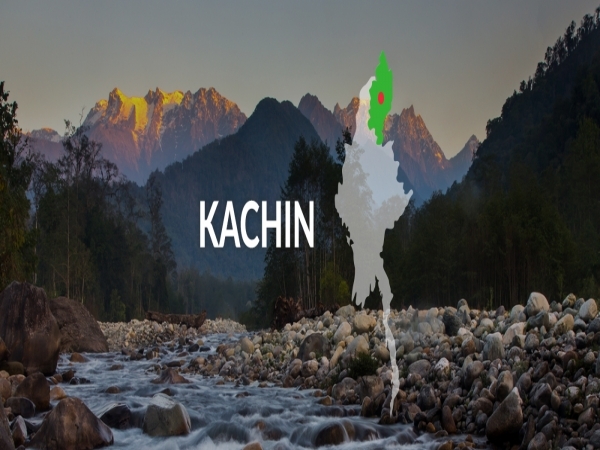 Most numbers of Kachin people live in China and India and speak the Jinghpaw language and survive on shifting cultivation on the hill. 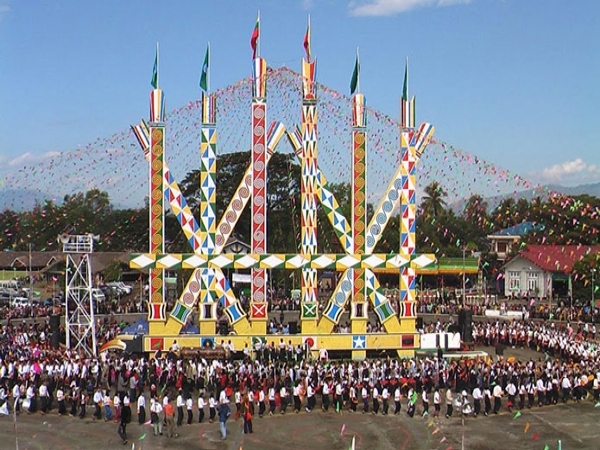 Manaw Festival: This festival is celebrated around the first week of January and attracts Kachin people from all over the world. The manaw dance is performed during this festival and originated as a part of the worship of Nat spirit from the past. 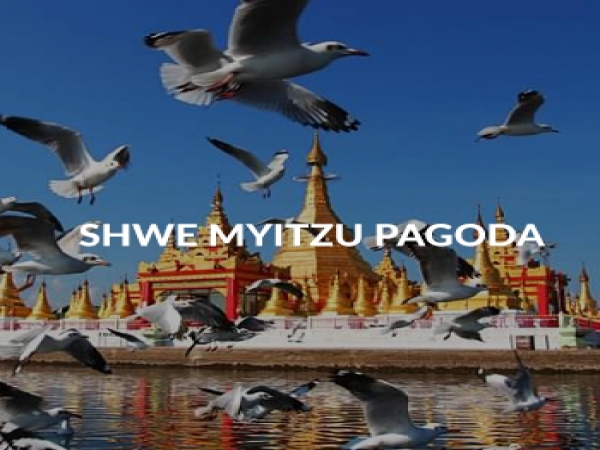 Inn Daw Gyi Shwe Mitzu Pagoda Festival: Conducted for 8 days in March of every year, this festival is celebrated on the bank of the Inndawgyi lake. Prior to the festival, sandbanks emerge on the side of the lake, making it easier for pilgrims to reach the pagoda. Locals believe that one sandbank is for humans while the others is for spirits to visit the pagoda.